Need Chairs For Lower Back Support? We’ve Got You Covered. The majority of Americans these days have a daily routine that consist of long hours of being on your feet, some heavy lifting, or even sitting several hours at the office in front of a screen. Does that sound familiar? You are probably beginning to feel some minor pains and aches in your back, right? Another factor that affects the lower back is how you sit and the type of chair used in your daily routine. 8 out of 10 Americans will have back problems at some point in their lifetime. About 54% of Americans who experience lower back pain can blame the amount of time spent sitting in front of a computer at their desk. Do you ever find yourself hunching over, with shoulders slumped in? You’re just asking for back pain when you’re regularly in that position. Physical therapists recommend exercising throughout the week in order to strengthen the surrounding back muscles to release tension. Find yourself saying, “Been there, done that…”? Let’s be realistic, the average American isn’t exercising enough on a weekly basis. So, what other changes can be made? Let’s start with Chapter 1: How the Chair was Invented. A chair and/or seat was designed to give rest to the body. Pretty obvious, right? Here are a few well known styles that are seen every day. The Basic Chair: Made with four legs, a seat and back frame. This is the main design that is seen in daily at the dining table, in restaurants, and in classrooms. The Stool: Made with 3 legs and a seat. This design of chair does not necessarily have a back frame for support as it is mainly used at bars, where you’re meant to only sit for a short period of time. The Bench: Long back frame with seat and 4 legs. Seen mainly in parks, recreational fields and schools, this design is no stranger. It has a back frame but seems to only allow your upper back to recline while leaving an empty space near your lower back. The Sofa: Large back frame and sectional piece that allows comfort. This is the typical spot you’re sitting when getting home from work and just need to unwind for a bit. This piece of furniture offers a wider range of seating and comfort with its design but, even then, not all are made equal. So what’s the big deal with chair designs? Well, there are several different chair structures that relieve the pain from the feet and legs, but what about the rest of the body; such as the lower back? If you find yourself sitting in these types of chairs regularly, do you feel like your lower back is getting the relief it needs? All of these chair designs left out one vital aspect of relief: the lower back support. Just like all great advancements in technology, solutions to lower back issues have been found! The name of this breakthrough solution in seating technology? Lumbar support. You’ve probably heard of it before, but if you’re like many, nobody ever took the time to explain to you exactly what lumbar support means. Let’s start with the basics. What is lumbar? Well, in human anatomy, the “lumbar region” refers to any area near the lower spine, specifically the 5 vertebrae near the lower back that are the strongest and most flexible. The lumbar region of the spine bears the most weight and is the most flexible part of your spine, leaving it susceptible to damage from use over time. This is why having the lumbar region supported when sitting is so essential, as it takes the load off of your spine and onto the seat. Most people experience these lower back problems when sitting in chairs that offer little to no lumbar support. These chairs will typically have a straight back (like the ones listed above), with no raised area around the lower back to support the lumbar region. While some people believe these chairs do their job just fine, they are not suitable for prolonged sitting sessions. Even some more expensive chairs that offer a lot of cushion or support for other regions of the back or neck often neglect the importance of having lumbar support. You may not notice this issue at first but over time, you will most likely develop pains in your lower back region from extended sitting sessions. At Seatcraft, we’ve got you covered! After a long hard day, each body seeks a little bit of rest and relaxation. At Seatcraft, we have made it our mission to sculpt and design innovative products with the utmost care and expertise for an exceptional seating experience. Whether you’re looking for comfort within your office or home, Seatcraft offers the perfect blend of style and comfort for every occasion. Seatcraft has designed several types of luxurious, multimedia sofas and home theater seating for both home and office. Each Seatcraft product is manufactured with premium materials and outstanding craftsmanship, with a mind toward plush relaxation and startling innovation. These seats offer the highest quality of comfort and lower back support. Take the Seatcraft Signature Napa Spacesaver and Sonoma LG movie chairs, for example. Complete with power recline, this theater chair offers full cushion support from the head down to the legs and feet by eliminating the typical gap between the seat and the footrest. The amazing feature about Seatcraft is that you can choose and customize your chair or sectional. Select from premium quality leather of black or brown and/or 50/50 Goose and fiber material to fit your style and home décor. Seatcraft offers the premium quality and comfort that can be found right in your home. Are you ready to make the change and finally give your lower back the rest it needs? If you are ready to upgrade your home seating or office? 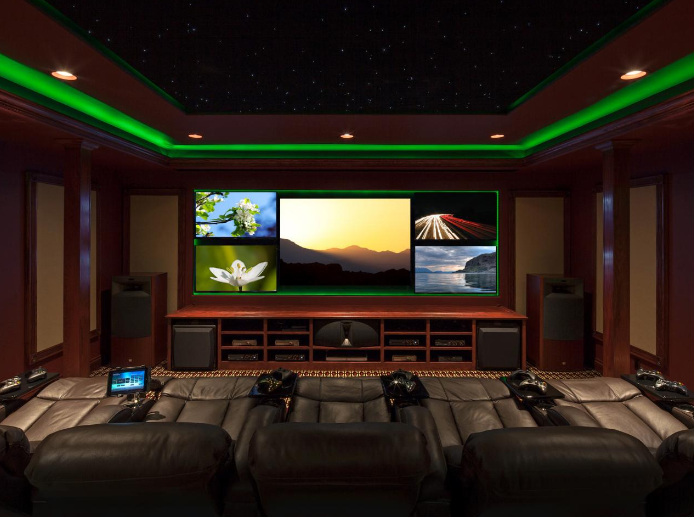 Contact us at Seatcraft to assist with any design, styles, features, and accessories to build the perfect multimedia room for YOU! This entry was posted in Blog on August 16, 2017 by seatcraft. It’s always sad to see your favorite shows be removed from a streaming site. Never fear though, because something new is always on its way! Here’s what’s coming and going on Netflix, Hulu and Amazon Prime for the month of August. This entry was posted in New Releases on August 8, 2017 by seatcraft. 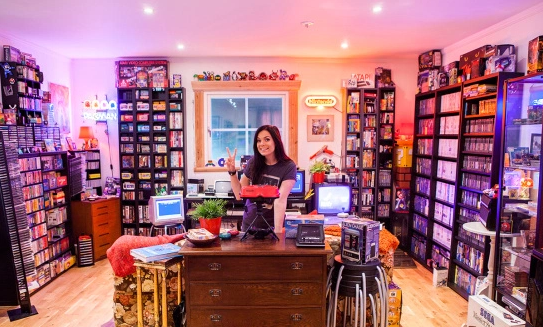 Let’s be honest – are you ever REALLY too old to have a game room? We’ve compiled some of our favorite designs for your very own grown-up hangout. 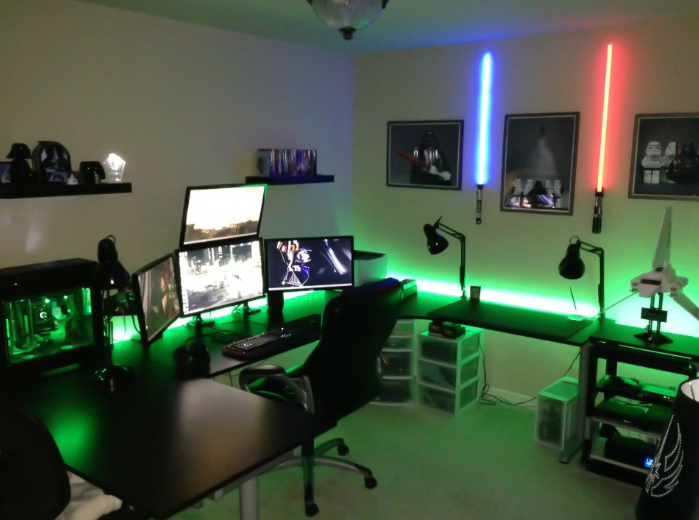 Unleash your inner gamer with these epic gaming room setups! 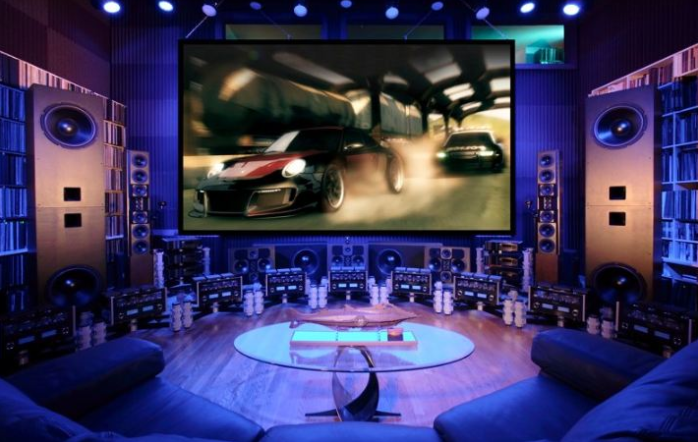 Take your gaming room to the next level by making sound a top priority. With games constantly upping their graphics, focusing on improving sound from your end will make you feel like you’re right in the action. You can kick it up a notch by installing a SoundShaker Seat Vibration Kit to your chair to feel each sound to its core. Just because you have a small gaming area doesn’t mean your decor needs to suffer. 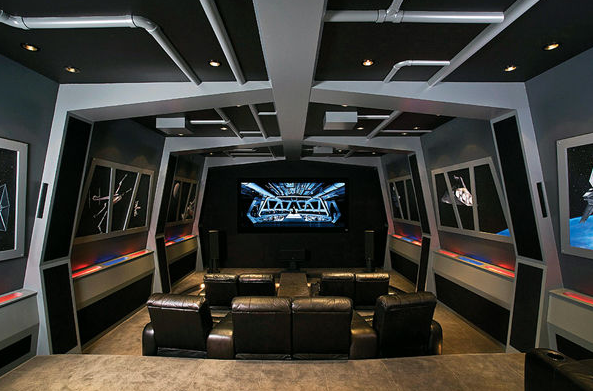 Whether you’re playing Battlefront or Knights of the Old Republic, designing your space like this is sure to enhance your game and help you connect with your inner jedi. Rather than keeping collectibles, memorabilia, and swag in drawers or shelves throughout the house, showcase them in your gaming room. This will give the room a personalized style and help you get in the zone as you play. Try adding one of Seatcraft’s Cuddle Seats for a cloud-like, transportive sit. If you want to showcase your artistic or edgy side, try incorporating street art based on your favorite characters and videogames. Contrasting these two mediums of art will give your game room a truly original feel. 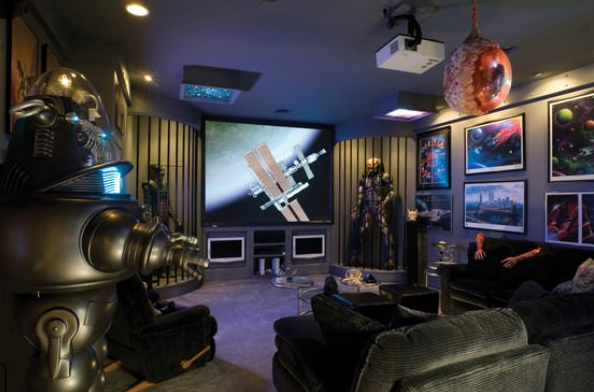 If you’re up for the challenge, design your game room to look like the inside of an alien spacecraft or a military combat vehicle. The picture says it all: you will be completely transported to the fantasy realm of your choice. Try adding one of Seatcraft’s Reclining Windsor Seats to add a deep, luxurious chair that gives you the comfort you’re craving. Lighting is one of the most important things to remember when transforming your game room from average to epic. Pick blue, green, purple, or red lights to enhance the video game of your choice– or even mix and match to capture your desired feel. These Seatcraft Excalibur LX Seats feature ambient base lighting and lit cup holders, making them perfect additions to your lighting-focused game room! Gaming with friends? Whether it’s Call of Duty or FIFA, you can turn your game room into the perfect hosting arena by incorporating Seatcraft’s Rialto Flip Arm Theater Seats that offer options for a stadium feel without the risers. Start with one row, or add three; it’s all up to you! These reclining seats also have amazing lumbar support and chaiselounger footrests, perfect for hours of gameplay. Add a galaxy ceiling, bordered by ambient light, to make it completely your own! Don’t sell your old games; show them off! Create your very own library of computer games, old GameCube or Gameboy games, even new PS4 games. 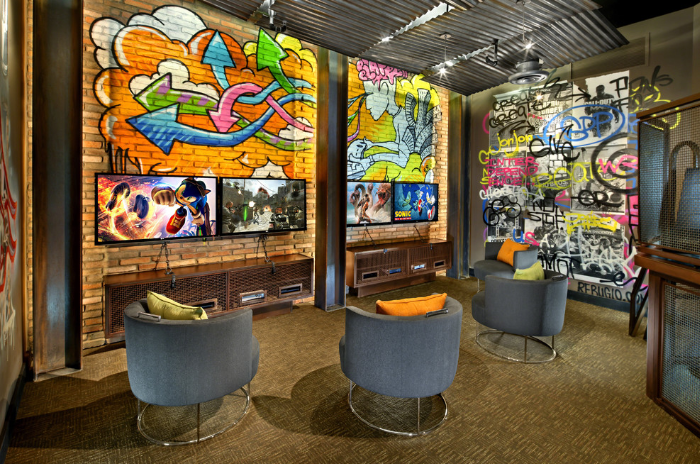 You can even include fun neon signs, figurines, old game consoles, and playing cards to personalize the space. Try our Seatcraft Genesis Sectional to accommodate friends and give your space more room for company. It’s the perfect reclining couch-like piece to fit any gamer’s sanctuary. For more design inspiration and options, visit seatcraft.com or check out our Pinterest page! This entry was posted in Home Theater on August 2, 2017 by seatcraft.